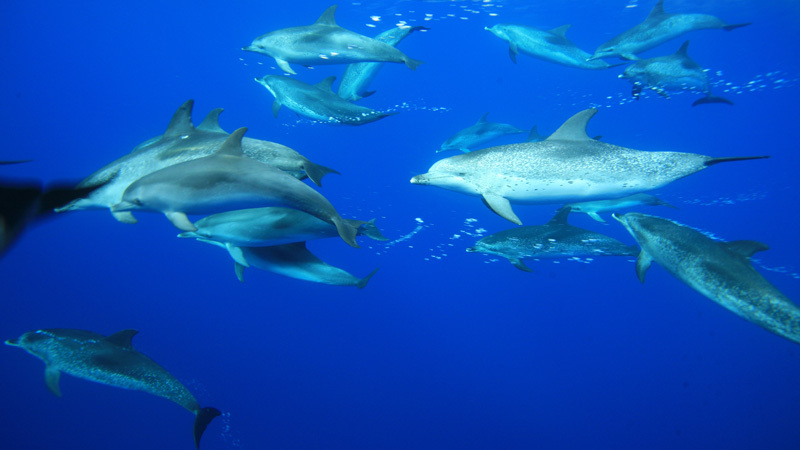 Adventure yourself to swim and snorkel with wild dolphins in the deep, blue sea of Madeira, Portugal always respecting these beautiful marine mammals! A lifetime experience! Online Price: €100.00 EUR (per person) €100.00EUR (0-11y). * Book Wind Birds™ online and save time and money. General Tour Price €105.00EUR applicable for bookings via other sales channels. 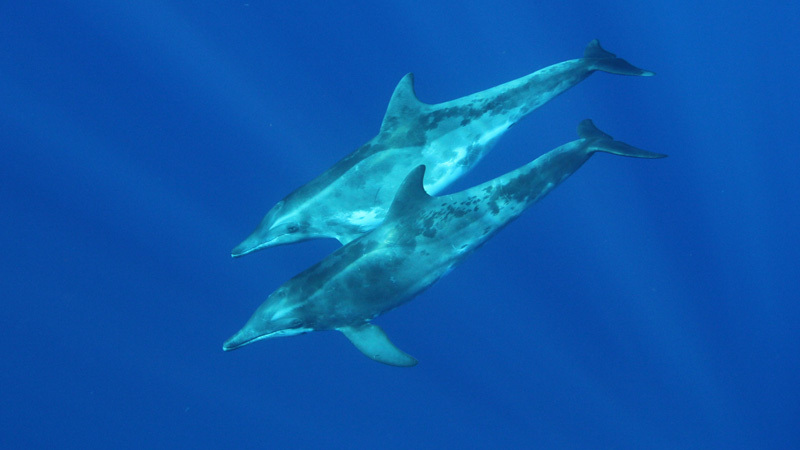 This is a dedicated trip to swim with wild dolphins in the open ocean, which means that you will only be taken to the ocean if sea conditions are favourable and if our spotters have dolphins in sight, so that we can nearly (almost 100%) guarantee your memorable experience with these cetaceans. 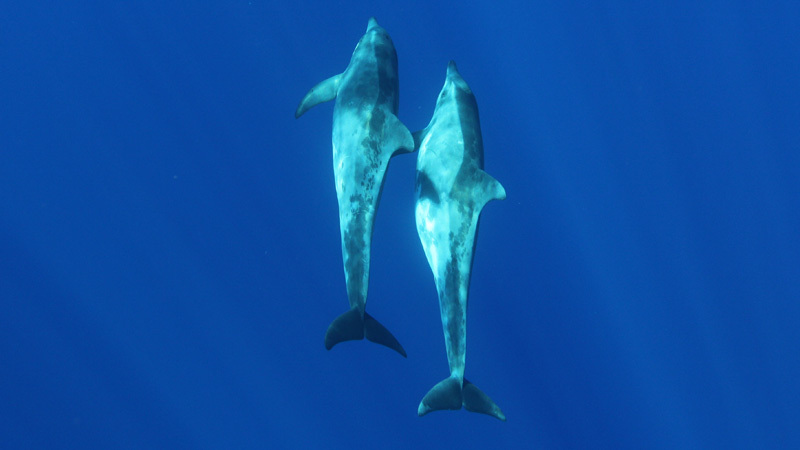 Enjoy a lifetime experience by becoming a member of a dolphin’s pod! 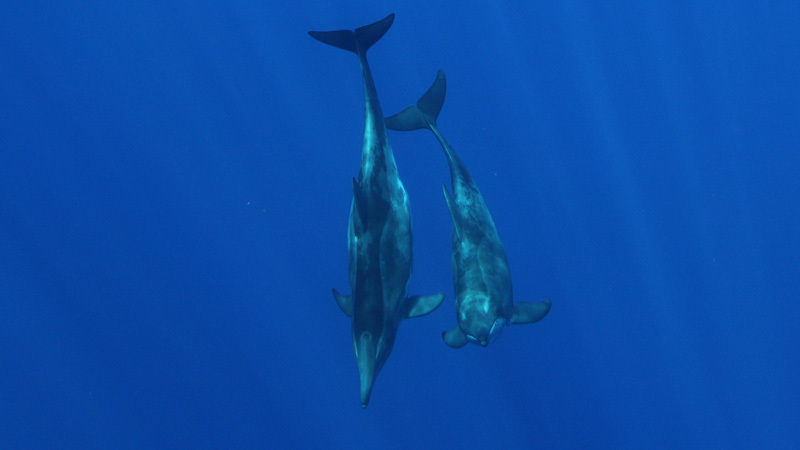 Swim freely next to these amazing creatures, look them in the eye and feel its natural grace and curiosity! 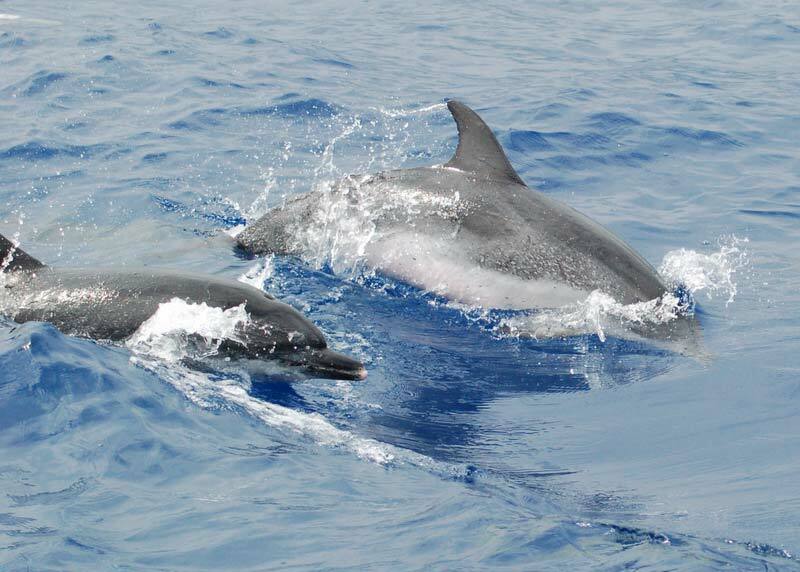 We operate mainly around the Southeast of Madeira where there are less touristy boats, therefore maximizing our experience with the dolphins and minimizing the impact and disturbance on marine wildlife. Sea water around Madeira is in average, between 19ºC by April and 24ºC by early September, so a swimsuit is enough but you are free to bring your neopren suit if you wish. 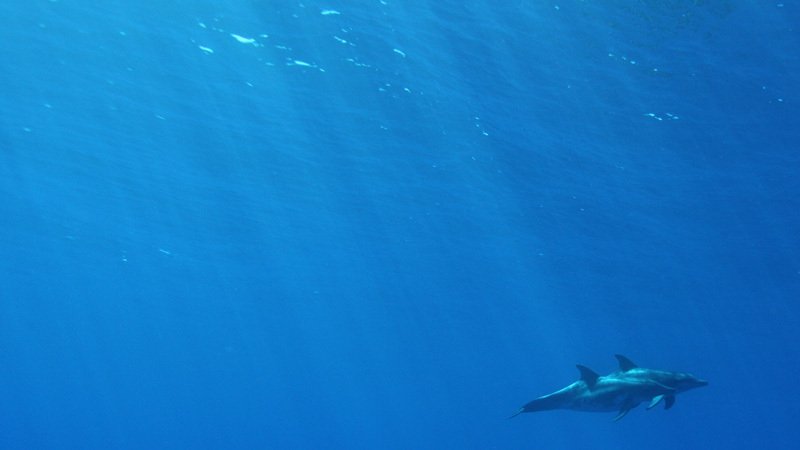 We only allow good swimmers and children over 8 years old to swim with dolphins. People who wish to accompany swimmers but just want to watch can join us by 40 EUR per person, depending on availability. 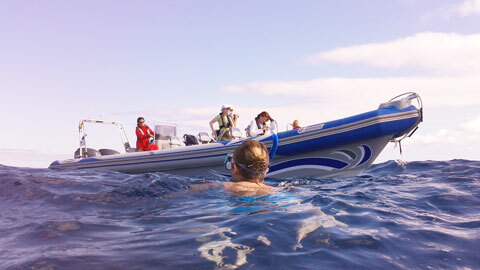 We need a minimum of 4 swimmers booked to run the trip though they do not need to be from the same booking/party. This way we recommend you to book in advance so that we can count on you and concentrate our efforts attracting more bookings to the trip you booked and make it viable. Please contact us if you need to book another date, or in a date already fully booked, sometimes guests cancel their bookings. Tour days: Refer to Schedule. Other dates on request! Only between April and October. Departure times: Refer to Schedule. Photography: Allowed and recommended. There is a possibility of your equipment getting wet with salt water spray. 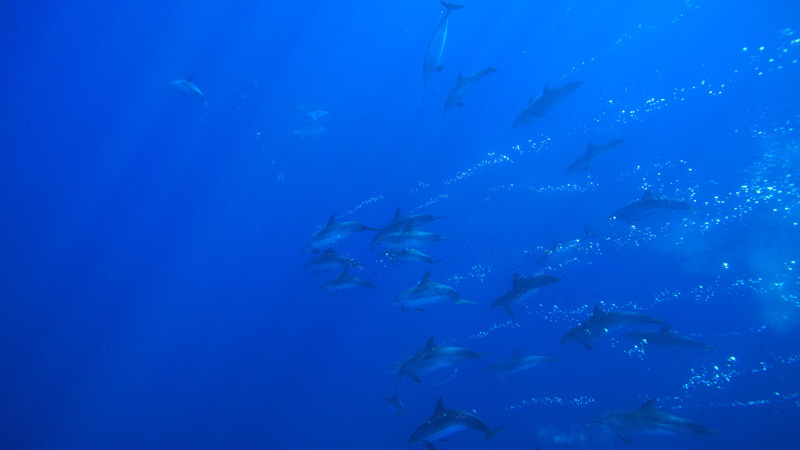 Underwater photography also recommended. †Price includes all taxes and fees. No extras are added to the shown price. Payable currency Euros.